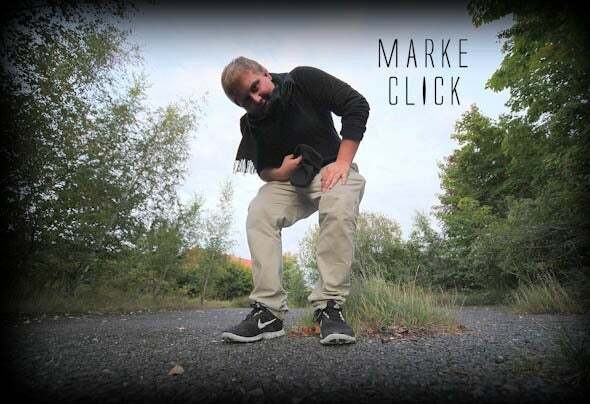 Marc was born in 1993 in Hamburg (Germany), as a child from music enthusiasts and former djs. The collection of Vinyl from his father reached the 500 by then and contained music from all genres, rhythms or parts of the world. So Marc grew up having a big selection of music to hear. After Idols like "Michael Jackson" or "Bruce Springsteen" weren't enough for 9 year-old Marke Click, he started to go threw all the vinyls himself. Names like "Kraftwerk" came up for the first time. Several years past and electronic music became more and more interesting vor the young and motivated boy.Since the age of 6, he learned to play the guitar. As an autodidact. Things weren't so easy for him, which means that there were several breaks, where he devoted himself other instruments or things in life. Moving from one part of the world to another, doesn't make things easier, but even that couldn't make Marke stop loving music. On the contrary, this was the only thing that was left for him and the only thing what could catch his interest.So after moving quite a lot with his family, he settled down in "Saarlouis" with the age of 10, which is a small city in the south of Germany. Here he could live out all of his musical feelings and ideas in many bands from genres like Posthardcore to Jazz and Soul bands. Also his first electronic workpieces are from that time. FInally when he had to move away from South Germany to Kiel, a city at the coast of the baltic sea, he gave up playing in bands and literally sat in his little room in a kind of youth hostel with his guitar, starting to record the first loops for further productions. You can hear one of those loops even on his first Ep, which was released on his own label Nachtglanz Recordings, in the track called "Forever". He produced more and more and started to realize that there is a club life in Kiel. With 17 years, he wasn't allowed to play in clubs yet, so he played on several illegal open-airs and tried his luck concerning the entrance of his current residental Club - the "Luna Club Kiel". The main focus was to produce, to get better and finally to play his music live right there. His motivation enabled to meet many DJs and hosts of parties.Prepare yourself to hear much more about this young man.